Get a quote on safe, eco-friendly bat proofing using DNR-approved methods. When you’ve got bats in your home, turn to Midwest Bat Specialists LLC. 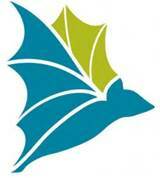 for humane and chemical-free removal of bats from your home or office. Our exclusion method ensures that the bats leave, but can’t return. This leaves your home bat-free and allows you to begin the clean-up or renovations you were planning. And, we’ll always MATCH or BEAT competitor’s written estimates on removal! Get a hassle-free quote in the comfort of your home and save on service charges Please fill out the form below and submit. Can you walk on the roof? I agree that this is an estimate only, the actual cost may be higher or lower. The house will still have to be inspected and at that time a complete cost will be determined. It may take up to 72 hours to get an estimate.